The frenzy of seed sowing and dividing herbaceous perennials is upon us and the Gardening for Health borders have just undergone a five year revamp. Many of the perennials such as Hemerocallis, and geraniums had grown into very large clumps, so the division of the roots yielded quite a number of new plants. 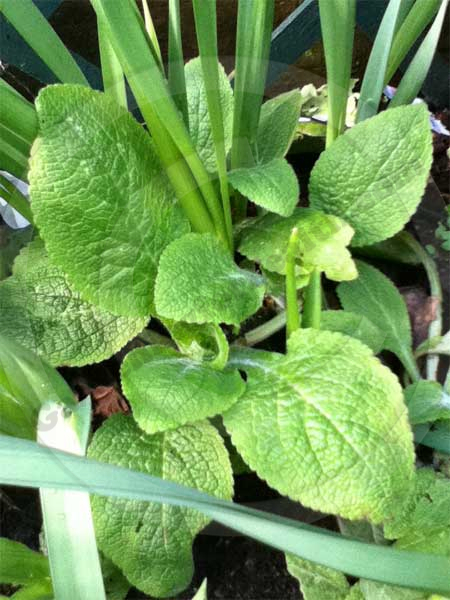 Going into the garden in early spring is just an Alladin’s cave of self sown plants and it’s all free! Some of the perennials we sowed from seed or bought last year have also been planted into their final positions. A particular favourite is a pale lemon perennial foxglove Primrose Carousel, which we obtained from one of our NGS visits. This stunning plant only reaches a height of about 60-70cm, so requires little support. In the autumn, the seed was collected and sown onto the soil of our nursery beds. A gentle sifting of compost over the top and left to do their thing. This spring, we have over 40 new plants and we believe that it does come true from seed, so time will tell. This year, there have been a number to choose from in our favourite Plants of Distinction brochure. One of our first selections is a stunning Heliopsis (perennial sunflower), Sunburst Variegated with variegated foliage and fully double golden flowers. After the success of the yellow foxglove, we have selected a white perennial version, Digitalis Dalmation White, which promises to flower in it’s first year of sowing, as well as Digitalis Obscura Dusky Maid which will give us some deeper copper and amber tones. Astrantias are a firm favourite in our border and we came across a seed mix which contains a variegated leaf form, so just had to order some. Now all we have to do is wait for the postman! 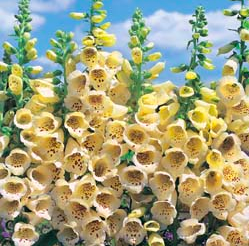 Foxglove Primrose Carousel – Seeds from Thompson & Morgan. Plants of Distinction – A particular favourite of ours with a wide selection of unusual and heritage varieties. NGS – National Garden Scheme, a wonderful way to obtain some unusual or rare plants.